1578 Morse Blvd is a perfect blend of craftsmanship and location. Listed by Shirley Kraus of Intero Real Estate Services, this spectacular home has approximately 3,100 square feet and is listed at $1,980,000. When looking at the higher end homes in San Carlos I tend to look at four things (1) General Location (2) Street Location (3) Builder (4) Layout. Let’s briefly break these down. First, the general location is Howard Park. 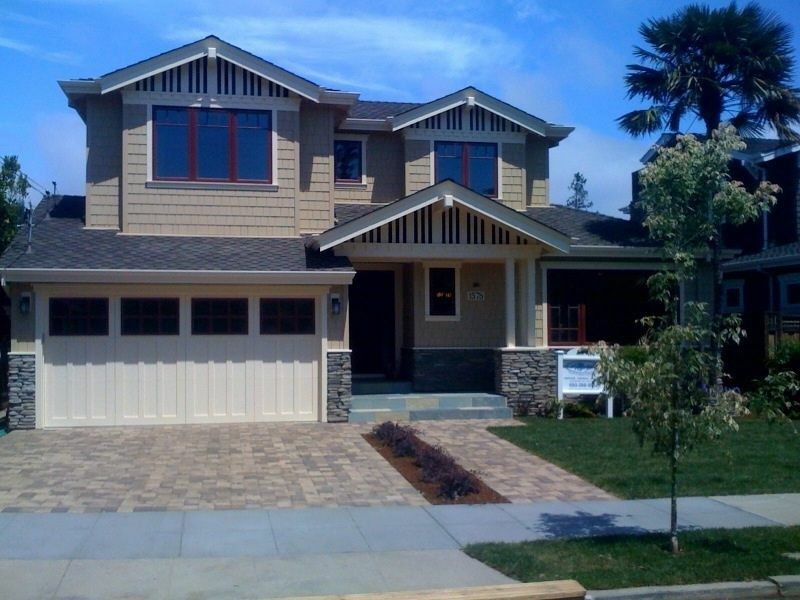 Howard Park has outperformed the other five areas of San Carlos in terms of price per square foot. The White Oaks area and Howard Park area are, by far, the two highest performing areas of San Carlos in terms of resale. Second, when looking at street location it would be tough to argue that the 1500 block of Morse is not one of the most desirable in all of Howard Park. All of the houses have been nicely updated, and some have been totally rebuilt. The physical location of Morse is a huge plus. Just a few blocks from downtown and Burton Park, but far enough away so that overflow parking and noise are not overly burdensome from either. Third, the builder is Mark Marx. Mark is a local, high-end, custom builder. I have seen a few of his houses and there is clearly a distinct difference in his quality. I have consistently been impressed with his work. For more information on Mark, please click here. Finally, the layout is a major plus. A large master suite and two spacious bedrooms upstairs and a fourth one located downstairs. A finely detailed great room, formal dining and living rooms and a spacious backyard. Bottom line, this house gets a big thumbs up from me. This home will be open on Sunday afternoon. It makes no sense to me to spend more on property in San Carlos than Hillsborough and Atherton–in both, you can find homes on much larger lots for under $1.8M (remember that in higher end neighborhoods, land retains value better than buildings!). The fact of the matter is that this property has not moved, so I must not be alone in this reasoning either. Thanks for your post. I agree with part of your post and I also disagree with other parts. First, I took a look at Atherton. There are currently two homes under 1.8 million. One has two bedrooms and the other has only 1,600 square feet. I also looked at homes under 1.8 in Hillsborough that had at least four bedrooms. There are two as well. The first is entirely original and on a hillside and the other has comments in the “remarks” section which start out with “WARNING!!! property is in very bad condition”. The fact of the matter is that on a level of pure investment return, I would agree with your assessment. However, for most families looking to buy a house there is a practical aspect to their purchase as well. Let’s start with the notion that Hillsborough and San Carlos are both nice places to live, but are very different in many respects. I don’t think there is any question that Hillsborough is considered an elite town with truly wonderful estates. San Carlos is a very clean town based heavily on community interaction. I know several families in San Carlos that could easily afford Hillsborough, but prefer San Carlos for a variety of reasons. At the same time, I am sure there are many people in San Carlos who wish they could afford Hillsborough and would readily move there if they could. The fact of the matter is that for most families it is not feasible to put a family of five in a two or three bedroom house or a house that needs a ton of work. For many of those families that can afford 1.8 million, they cannot afford to then do a $750,000 remodel. While the Morse house will never compete with the land value of Hillsborough or Atherton, it does have other attractive qualities. Its location within San Carlos is an A+. It has been built by a high-end, meticulous builder. Its functionally perfect for a family of 5, and while San Carlos will not appreciate at the rate of Hillsborough or Atherton, its rate of appreciation has been well above average when compared against many other peninsula cities over the past 30 years. Finally, while Morse has not sold, yet, it has only been on the market for 19 days. I did a quick CMA and found that for the last year all properties selling over 1.5M in San Carlos were on the market for an average of 3 months prior to selling. So it is probably a little premature to make any type of definitive comments about its marketability. Thanks again for your post. Have a good 4th! I looked at this house and it seemed as if he cut some corners. I did not get the feeling of quality that one would expect for this price. I live in the area so it is in my best interest that he gets as much as possible but it seems he missed the mark on this one.